PROTEK™ films are designed to protect surfaces from dirt, scratches, tool marks, and more during construction, installation and transport. Our easy-peel surface protection and masking films also protect delicate finishes, like metal and glass, from UV rays, stucco, and surface contaminants. LAMATEK’s masking films are provided in rolls on 3” core tubes and can be custom cut to your specified widths. Each PROTEK™ product is compatible with a specific set of materials and finishes. We recommend that you test the film in your application, especially with unknown substrates. Please Note: Our line of PROTEK™ surface protection films is NOT compatible with copper, brass, or copper alloys. Not sure which option is right for your project? 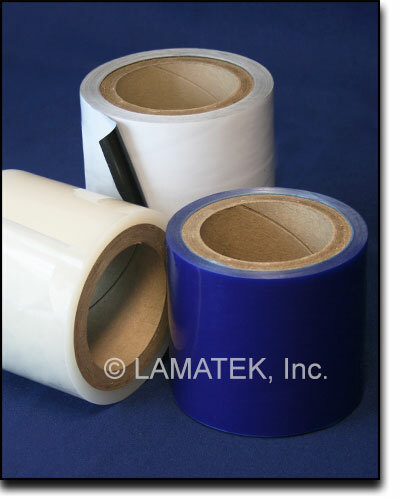 Contact LAMATEK and let us help you!